Bombay Velvet is a 2015 Indian period crime drama film directed and co-produced by Anurag Kashyap, based on historian Gyan Prakash's book Mumbai Fables. It stars Ranbir Kapoor, Anushka Sharma and Karan Johar in lead roles with Kay Kay Menon, Manish Choudhary, Vivaan Shah and Siddhartha Basu appearing in supporting roles. The music for Bombay Velvet is composed by Amit Trivedi, Mikey McCleary while lyrics are by Amitabh Bhattacharya, Majrooh Sultanpuri. 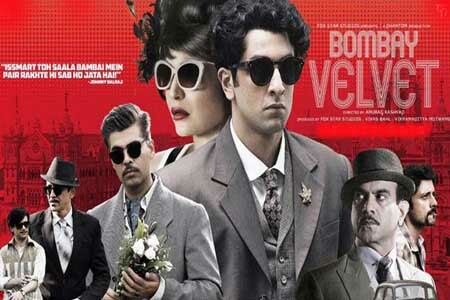 Here is the link of all the songs lyrics and videos of Bombay Velvet.